Reliable, quality & value for money service. Snow clearing and gritting service during the winter months. We provide a reliable, quality and value for money landscape maintenance service to the commercial and residential sectors in Aberdeen and Aberdeenshire. Our sites include factored sites, office buildings, amenity areas, nursing homes, industrial units, hotels and private gardens. Our services include all year round ground maintenance and during the winter months snow clearing and gritting. We have been in business for 30 years and our experienced teams with their knowledge of horticulture provide an efficient and first class service. Each member of our team understands the importance of establishing good communication and working relationships with our customers. Our equipment is kept up to date and well maintained and our recruitment and health and safety practicesare comprehensive. We have a current Health & Safety policy, risk assessments and C.O.S.H.H. data that are reviewed and updated. We are members of SAFEcontractor who audit our safety procedures annually. We are fully insured for Public and Employers Liability. We also recycle our grass and pruning waste into mulch for re-use on amenity areas. Our experienced staff provide a quality and reliable service whether it is an office, industrial unit, amenity area, nursing home, hotel or a private garden. Our services include grass cutting, weed control, shrub and hedge pruning and litter and leaf clearance attending throughout the whole year. 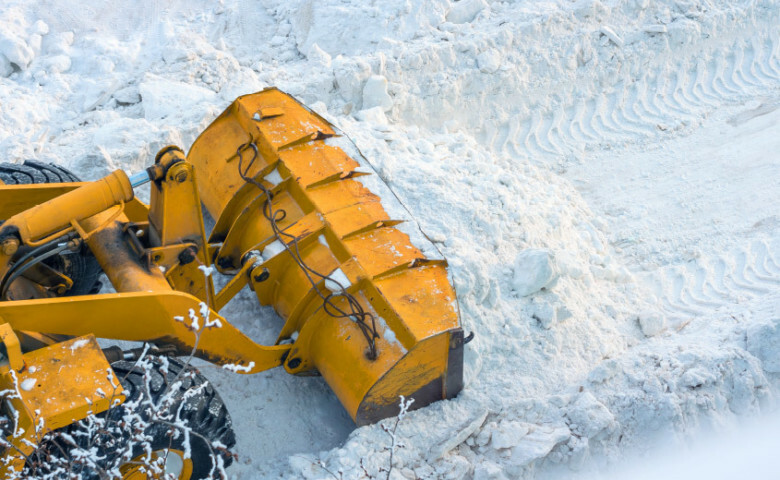 We provide a comprehensive snow clearing and gritting service during the winter months. Our forecasts are provided by the Met Office Open Site forecast team. We use pure salt for gritting to ensure no residue is left after the snow disappears. We invest in new equipment every year and all of our equipment is well maintained. We use Grillo, Ferrari and Kubota ride on mowers, Honda pedestrian mowers and Spider remote radio controlled mower capable of cutting slopes up to 55 degrees. This year we also invested in battery powered strimmers and hedge cutters to reduce noise and vibration. Copyright © Grass Guzzlers 2019. All rights reserved.